With its reputation for balancing powerful features and usability at a competitive price, ZWCAD from ZWSOFT has been a popular CAD/CAM tool for the past 15 years. Since celebrating the 15th anniversary of ZWCAD in 2015, the China-based software company has been working hard to bring the same level of usability that the software has become known for into an even more powerful release in the form of ZWCAD 2017. The recent release builds upon prior versions of the software along with extensive user feedback to offer even more flexible features and compatibility for working across multiple file formats. While this may seem trivial, it's important to consider that, at its core, ZWCAD 2017 is a direct competitor to Autodesk’s AutoCAD but is priced significantly less and without the need for an ongoing subscription. As a matter of fact, new users of ZWCAD 2017 can get started at just $799 for a non-expiring permanent license. In contrast, the current subscription price of AutoCAD is $210 per month or $1,680 per year. It should come with little surprise then that the ZWCAD user base has nearly doubled in the past two years, with close to 600,000 regular users who prefer a more budget-friendly option without the need for mandatory annual subscriptions. To get a better idea of the new release, let’s jump right in and take a closer look at what's new. ZWCAD 2017 is compatible with most CAD software and supports the latest DWG format. Existing users will be happy to see that little has changed in ZWCAD's interface and when firing up the new release, users will still find the ability to switch between the familiar Classic and Ribbon interfaces for different working environments. Not only does this help existing users get started right away with the new release (while also remaining intuitive for new users), it also eliminates the need for any relearning costs for teams, which can be easy to overlook. Additionally, those who prefer to work directly from the command line will find it conveniently located at the bottom of the screen. 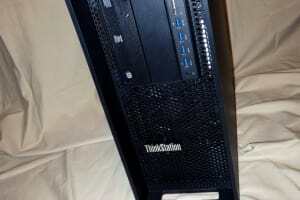 As for performance, I chose to test a massive 60-MB file that opened flawlessly in less than 10 seconds on a Dell mobile workstation running on 8 GB of RAM at 2.5 GHz on an Intel Core i7, which appears to reflect the company's declaration of ZWCAD 2017 operating over 40 percent faster than previous versions. 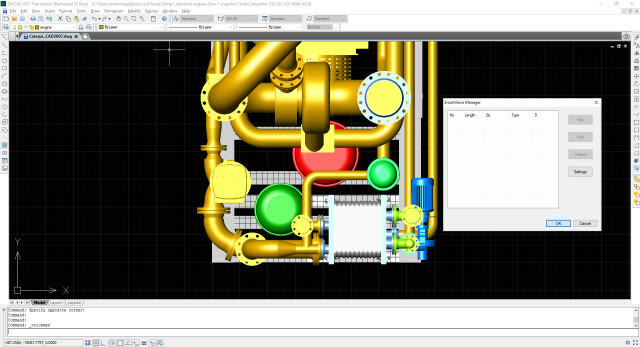 Among the more notable new features in ZWCAD that are sure to speed up workflows are the new “Smart Innovation” interface enhancements for more easily executing commands. These include the already-introduced SmartVoice, which enables the use of voice commands via the computer's microphone, and SmartMouse, which enables the use of commands that are triggered with a mouse gesture. When might you use these interface enhancements? During my review, I found it helpful to use the SmartVoice feature to leave verbal instructions to those I would be passing the file off to. Alternatively, the note would have made for a very long text callout. By using the SmartVoice feature, I was able to further explain specific instructions as if I was standing there with the file receiver to give them specific instructions. While a feature like this may not be the biggest deal breaker when considering ZWCAD 2017, it goes to show that the developers have taken strong consideration into the user experience for even the little things. 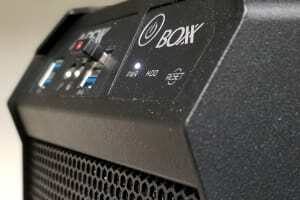 Users can locate and access all of the voice callouts easily with the SmartVoice Manager. Additional Smart Innovation tools to look forward to include a filter for selecting drawing features, called SmartSelect, and SmartPeek, which gives users a quick preview of drawings by pressing Ctrl + Tab. While these were not available to demo at the time of my review, they will just as likely be a welcome addition to the ZWCAD 2017 workflow for many. The latest release of ZWCAD went through over 50,000 extremely rigorous drawing tests for seamless DWG compatibility for cross-platform communication. While ZWCAD 2017 is still able to open or save DWG drawings from AutoCAD and open or save as DWT or DXF formats, the new release also introduces the ability to import and exchange DGN files with MicroStation from Bentley Systems. 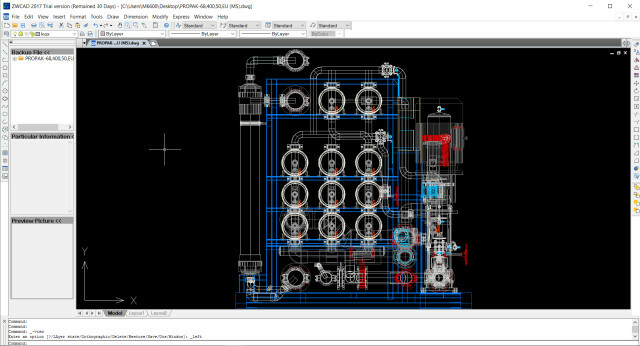 As a competing format to Autodesk's DWG, DGN drawings are commonly used in large-scale projects including shipbuilding, buildings and infrastructure projects such as process plants, bridges and highways. Users who are used to working with multiple files at a time will be happy to fire up the new File Compare feature, which automatically identifies and highlights differences between similar versions of drawings that would otherwise be difficult to spot by the naked eye. The result is a much more streamlined workflow that leaves very little room for human error. Although ZWCAD 2017 is a 2D drafting application, it's not uncommon for those who work in engineering fields to receive files that are in 3D or otherwise aren’t in a dimensionally accurate 2D format. In an effort to help minimize the back and forth required to flatten files or other factors that compromise the quality of a drawing, the new release also introduces a new Flatten command for creating 2D representations of the native 3D files by projecting them onto a desired viewing plane. While the new compatibility and importing features help streamline the front end of ZWCAD 2017 workflows, updates to editing tools help ensure that projects don’t get bottlenecked when the need for object editing arises. With the addition of a new Advanced Grips Editor, users can now move, manipulate and reshape objects quickly and easily with adaptive control. Combined with the new Undo Snapshot feature, users can now go back in their design history and trace previous steps for more refined decision-making. For those working within and presenting 3D models, visualization options, including the all-new Render mode (for creating more lifelike visualizations) and DVIEW (for enhanced perspective views), make communicating concepts to clients and colleagues easier. 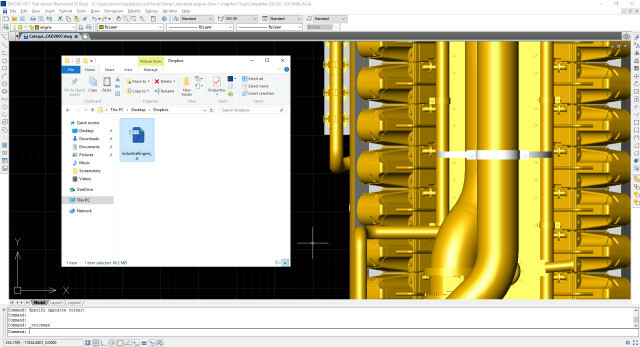 When used in conjunction with the free CAD Pockets app, ZWCAD 2017 users can add/share voice callouts, edit drawings and even explore files in 3D. 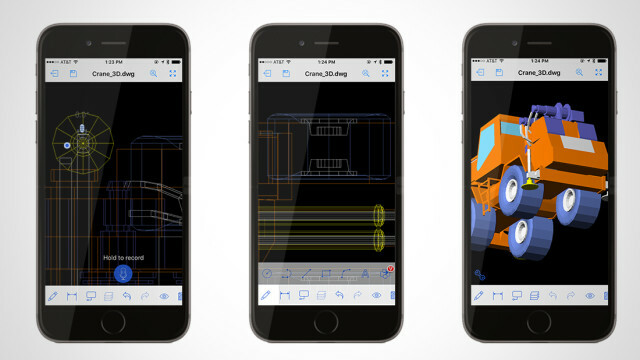 For users who are always on the go, the CAD Pockets app from ZWSOFT for iOS and Android devices works seamlessly with ZWCAD 2017 and offers a powerful mobile solution for sharing project data with clients and team members. With support for common industry file formats, including DWG, DXF and DWF, users are able to open, revise, markup and export files to PDF or DWF directly within the app before sharing with colleagues. 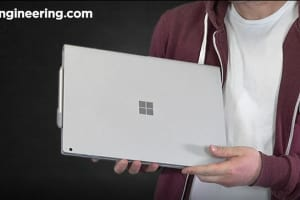 Those who depend on third-party cloud storage solutions such as Google Drive and Dropbox to keep the projects organized can connect their accounts to work within the ZWSOFT ecosystem either in the office or traveling to a client meeting. 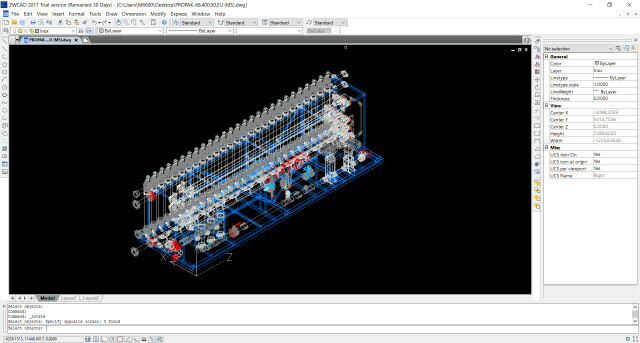 Since ZWCAD 2017 isn't natively connected to the cloud for sharing files, as Autodesk users will be familiar with—and more users than ever are relying on the cloud to share files quickly and easily with stakeholders—I chose to take a deeper look at the ZWCAD 2017-to-CAD Pockets workflow to compare it to other file-sharing user experiences. To send my file from ZWCAD 2017 to CAD Pockets, I simply synced the DWG file directly out of ZWCAD 2017 to my existing third-party cloud storage folder. In this case, it was a free Dropbox account that I set up specifically for the review and had synced to my desktop for ease of use. The CAD Pockets app was able to sync easily and directly to this folder and pulled open my drawing with surprising speed. Going back to the original SmartVoice feature that was discussed earlier, I was pleasantly surprised to see that my file retained this annotation information and I was able to listen to my voice annotation as if I had just sent it to a client or another stakeholder. Additionally, I was able to record a reply in response directly from my iPhone to send back for review. Annotation features aside, the app has some surprisingly powerful features for mobile workers, including the ability to further edit a drawing and print it to a PDF file for sharing. Although the app may not be necessary for all users, it's important to consider that one of the driving factors in many modern CAD programs ranging from various Autodesk offerings to Onshape is the ability to share and edit files directly from a mobile device. Similar to Google Docs, companies that offer their own cloud storage solution allow users to tap into the cloud from nearly any device with Internet connectivity. While ZWSOFT may currently require users to operate through a third-party cloud storage supplier in order to access a similar mobile working solution via CAD Pockets, the company also isn’t depending on its users to pay monthly or annual subscriptions to tap into the workflow. In other words, once a user has purchased ZWCAD 2017 and has downloaded CAD Pockets (users can get a free month of use of the Premium edition if they sign in 10 times or more per month), they can use this workflow for as long as they want free from worrying about files that may be lost if they ever were to cancel a subscription. As a plus, CAD Pockets also syncs other file types including PDFs for quickly reviewing proposals or other important documents that are relevant to the project. Again, this may not be a deciding factor for some users, but it is another great example of how ZWCAD 2017 offers many of the same capabilities as more expensive programs for a fraction of the price. Would it be nice if ZWSOFT offered its own cloud storage for ZWCAD 2017 to help streamline workflows? Of course—but for those who already sync to a cloud folder on their computer and set up CAD Pockets accordingly, the difference isn’t worth fretting over. Easily syncing a DWG file to a Dropbox folder for on-the-go collaboration. In addition to support for mobile via the CAD Pockets app, ZWSOFT is also in the process of unveiling support for Mac and Linux users. As a modern software tool in a world populated with a plethora of platforms and devices, ZWSOFT hasn’t cut any corners with ZWCAD 2017—despite carrying a low price tag. 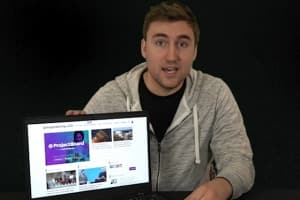 With 64-bit support for Windows and multiplatform support in the works for Mac and Linux, project teams and leaders will be able to work on their preferred hardware—not to mention on their mobile devices with CAD Pockets. To put it simply, ZWCAD 2017 is a powerful tool with extremely useful features that rival those of competitors at a significantly more affordable price with no license expiration. As an intuitive piece of software that can be picked up in a matter of hours, it is also ideal for new users. With the introduction of new tools and further support for existing compatibilities—ranging from the simple yet powerful Flatten tool and the CAD Pockets mobile app—the company has demonstrated that it is listening actively to the needs of the modern CAD user and is continuing with its dedication to make working with CAD and drawings as affordable and easy as ever. ZWCAD 2017 is available now directly from ZWSOFT. New users can download a 30-day free trial.